Debt is a scary thing. Every year, out-of-control debt causes about 770,000 individuals to file for bankruptcy. 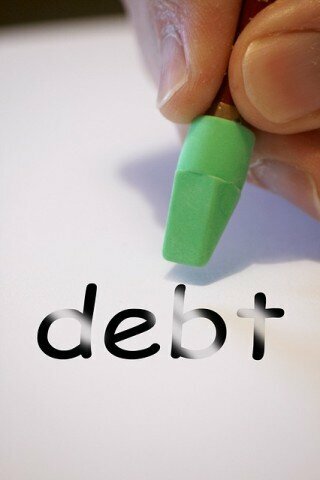 But this is a last resort option that can destroy your credit and make life more difficult; often for years to come. Fortunately, there are ways for people to reduce, or even completely eliminate their debt without having to resort to this. These are three real-life people who beat their debt. Many young people feel the pressures of having to pay off student loans. In fact, the average borrower has over $37,000 in student loans when they graduate college. That’s a sum that can stick around for a long time—especially if you don’t have a plan for paying it down. Don’t shop or look for things to buy—whether at the mall or on Amazon—just because you’re bored. This is setting yourself up for making purchase that you don’t really need. If you do need to get clothes, or anything else, try looking at thrift stores first. You’re going to spend much less money when you buy something secondhand. Make all spending decisions conscious ones. People get into spending habits, which then turn into spending cycles. Breaking free of these will help you save more, and thus put more money toward paying down your debt. himself in a lot of trouble when things went south during the recession in 2008. At his lowest point, Grayson had $50,000 in debt—mostly spread across credit cards. In order to pay off this hefty, high interest debt, he and his wife went all-out to cut expenses and raise income. Grayson even got a white board specifically for the purpose of keeping track of their budgeting progress. Yes, Grayson came up with a plan and followed it through to the end. Perhaps this is why co-CEO of Freedom Financial Network, Andrew Housser, suggests that people create goals with varying timescales when trying to set up their financial future. By creating milestones for one, three, and five years into the future, you’ll be able to gradually work your way to your ideal financial life. Similarly, you can determine which of your debts is most pressing and attack those first; just like Grayson did. Not all people who find themselves in overwhelming debt are in a position where they’re lacking in income. Travis Pizel and his wife were bringing in a lot of money when they found themselves with over $100,000 in credit card debt. But that much high-interest debt can quickly become unmanageable, even for people who have a large income. Travis and his wife decided to enroll in a debt management service, which negotiated their payments with their creditors. They additionally reduced their spending, and sold some of their material possessions in order to completely eliminate this massive debt. No matter who you are, or how much you have in debt, there’s a way for you to improve your financial standing. These stories of real people overcoming their debt is a testament to that. I love Zina and Grayson, though I’ve never met Travis I’m afraid. Zina doing so well on a starter salary has always impressed me. Hey Abigail, I think we might have actually met at one of the Fincon’s several years ago….maybe St. Louis? That was the last one I went to. Thanks so much for the inclusion in your post! It was a long, long road but my wife and I came out the other end much stronger! I can’t get enough of other people’s stories – they’re a testament to anyone who thinks their situation is hopeless, that there’s always hope. Always!